Goal: Set up and run traffic on a routed network. 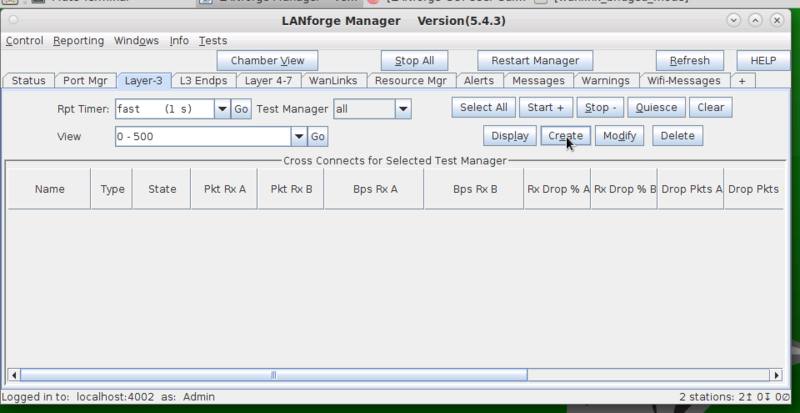 In this test scenario, LANforge-FIRE is used to generate traffic to a basic router in order to test throughput. Connect one LANforge-FIRE port to the router's LAN port. Connect another LANforge-FIRE port to the router's WAN port. Set up the LANforge ports so that they have valid IP addresses. Modify port for Endpoint A (eth3). Set a valid network IP Address and Gateway IP. 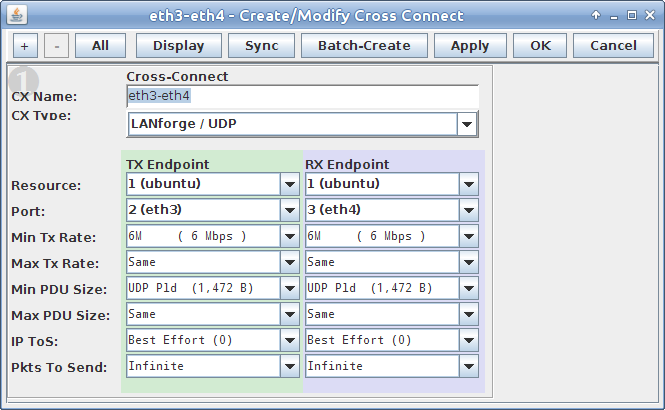 Modify port for Endpoint B (eth4). Set a valid network IP Address and Gateway IP. Create a Layer-3 connection using the two configured ports. Run traffic and determine router throughput. For this example, a low performance router was used to illustrate poor throughput, variable latency, and dropped packets.